Interflora is a renowned global flower delivery network, known for its beautiful bouquets and inspiring gift ideas. After successfully introducing beer and gin into their product portfolio, under the new brand name ‘ASK’, Interflora tasked us with creating a new brand for their second largest product collection after flowers chocolate. 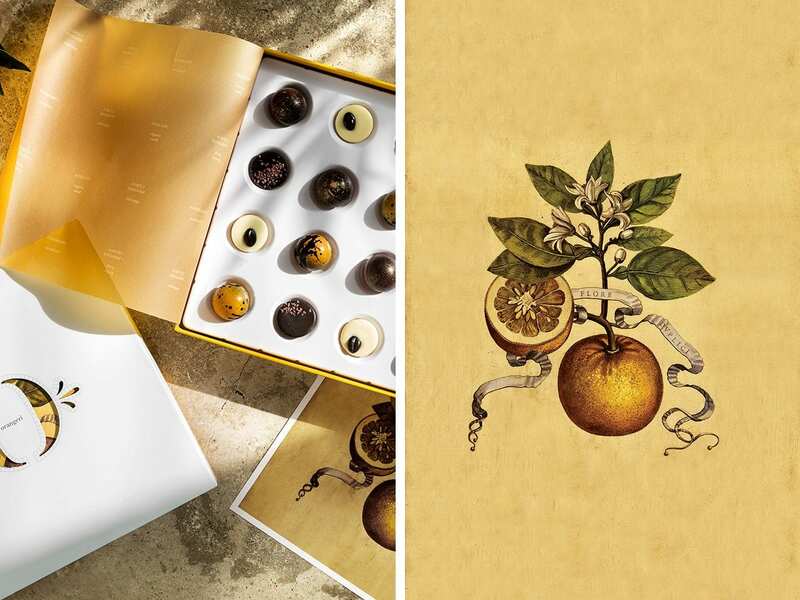 Previously, the brand’s own label chocolate lacked distinctiveness, desirability and clarity of appeal giving scope for us to tap the essence of Interflora – a place that celebrates pleasure and facilitates sharing – with a chocolate brand that would fit well within the company’s botanical universe whilst providing a platform for future innovation and growth. 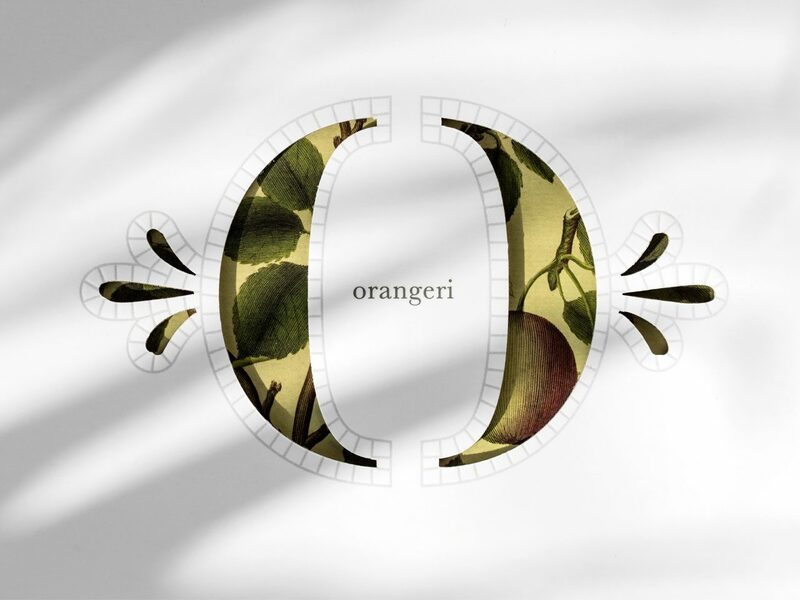 The brand concept was inspired by orangeries – garden rooms of a past age that for centuries were designed to nurture and showcase exotic flowers, plants and fruits; and provide a quiet and reflective place to escape, unwind and indulge amongst nature. 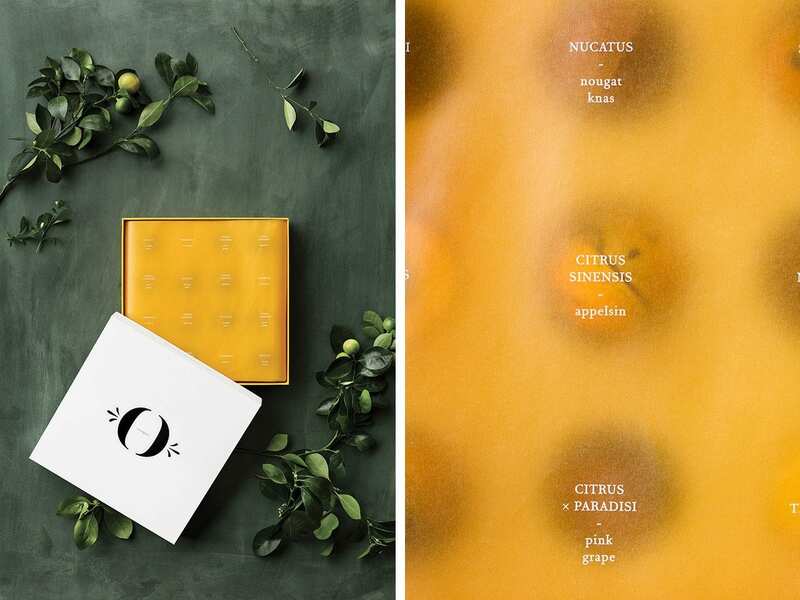 The idea behind the name and the concept is to evoke and strengthen the core essence of Interflora’s botanical universe by evoking the immersive, multi-sensorial experience of being within an orangerie. 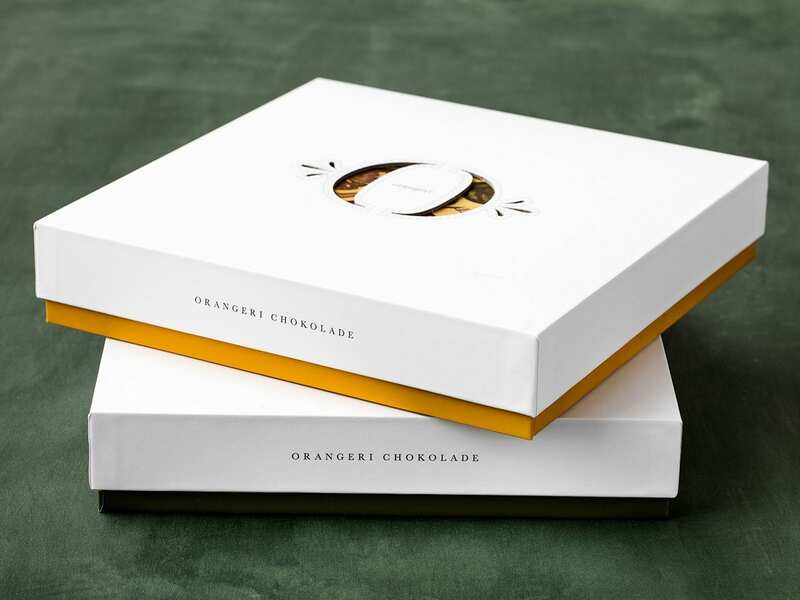 The Orangeri chocolate box – square in shape with a deep lid that lifts slowly – is designed to reveal layers of the product and brand. 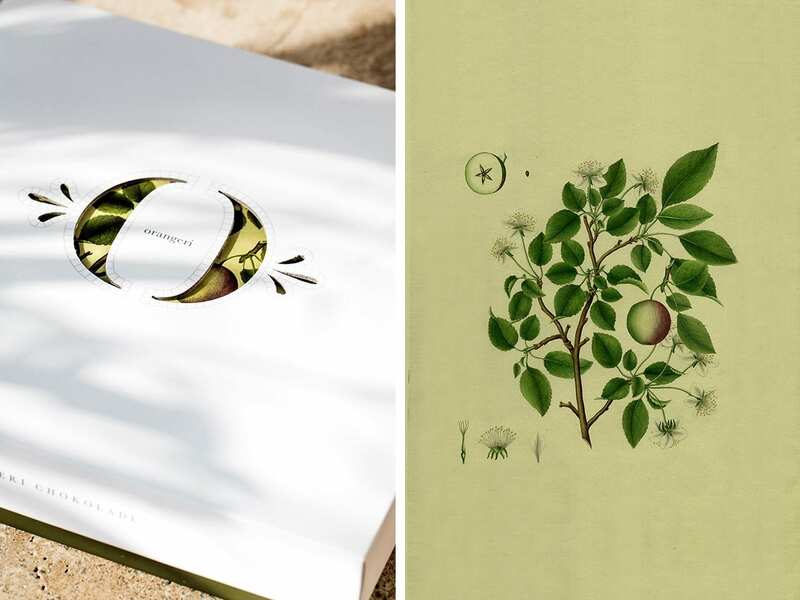 Beneath the lid, a series of postcards - inspired by iconic Danish botany book, Flora Danica - tell the story of different fruit in Nordic culture. 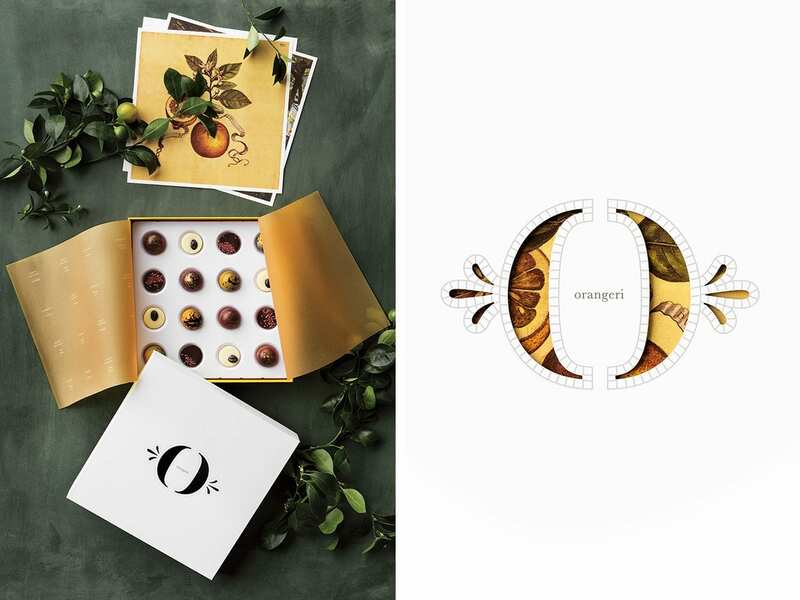 The chocolates are defined by their elegant spherical and half-spherical shapes, their unusual ingredients – such as apple and pink grape – and their ‘cosmic’ outer appearance. 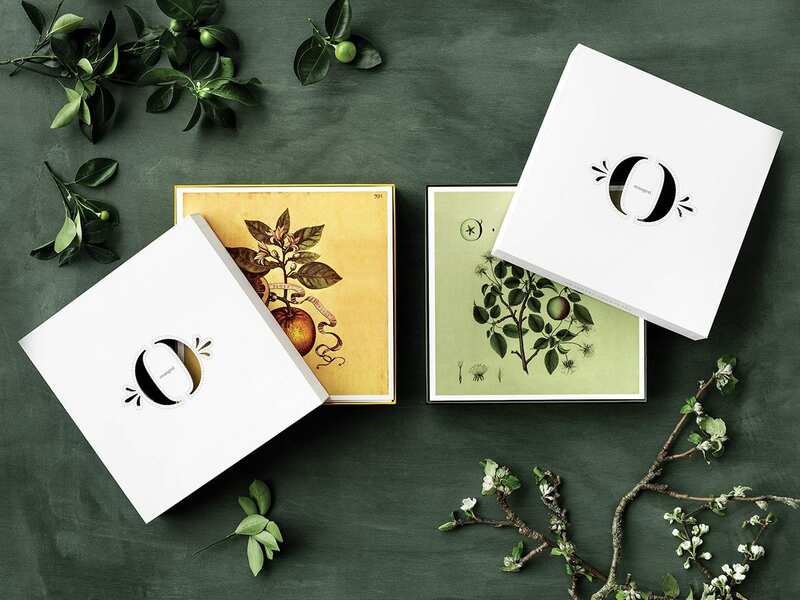 Different chocolate boxes evoke four-different taste ‘directions’ – North, East, West and South, for example, the ‘South’ box is a yellow-orange, inspired by the sun. 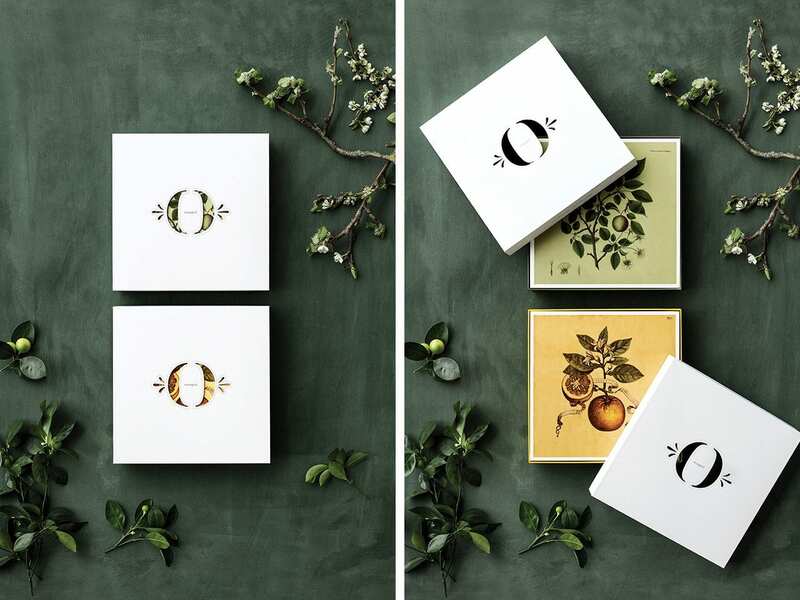 Outlined by simple squares inspired by the mosaic floors commonly found in orangeries, the logo mark is cut into the lid of the box – while a segmented ‘O’ with simple floral side markings evoke feelings of heritage and prestige.